That golden mustard sauce can never go wrong, yes I’m talking about Kasundi, Bengal’s favourite mustard sauce. 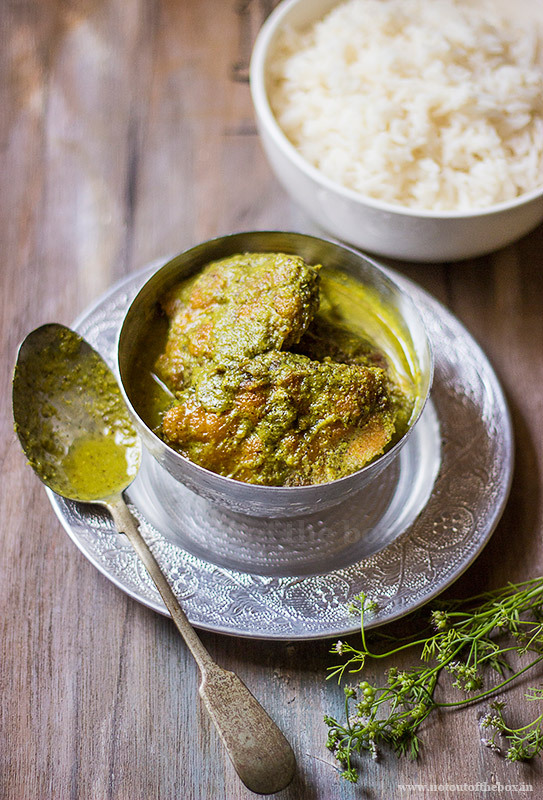 This fish curry has all the aroma of fresh coriander leaves and tender coriander seeds along with the punches of Kasundi. 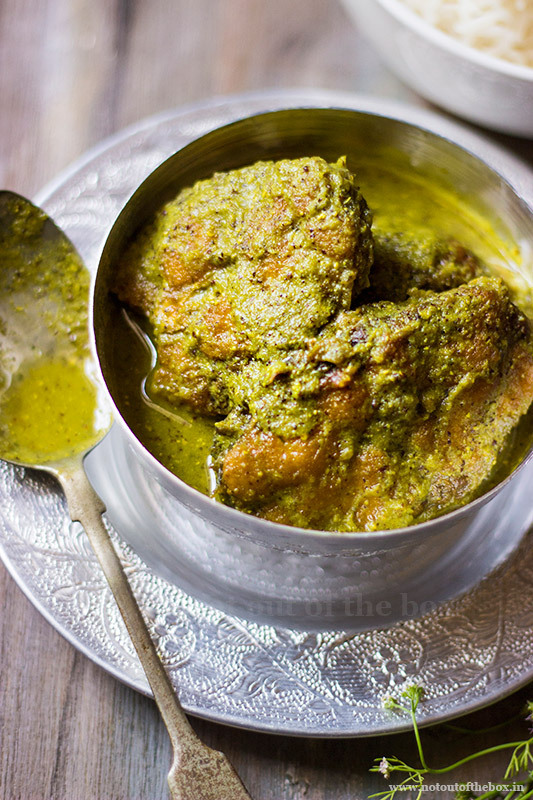 Developing recipes with fish is a thing close to my heart, and I’m totally satisfied with this easy to cook Dhone Kasundi Mach recipe. We couldn’t be stopped licking our fingers after having it. Cook rice in enough quantity, you might need extra servings. 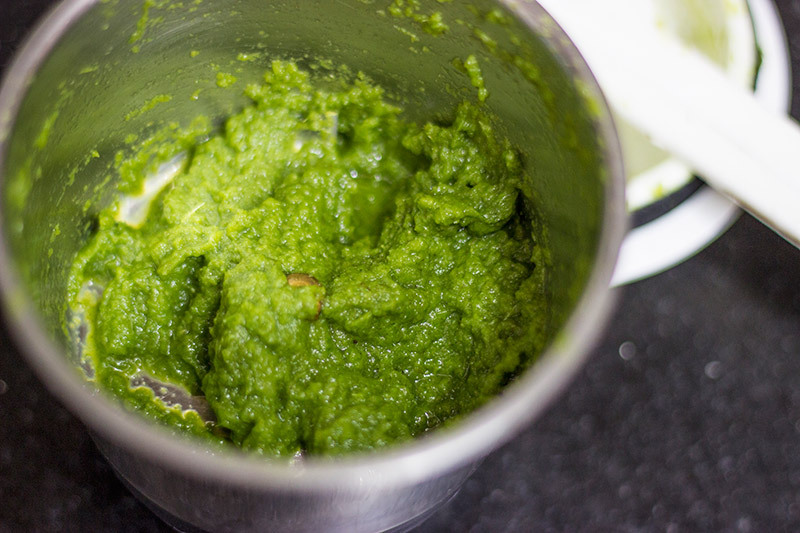 Make a paste of chopped coriander leaves, chillies, garlic and onion using a food processor. Keep aside. Rub salt and a 1/2 tsp of turmeric powder on the freshly washed pieces of fish. Heat 1 cup oil in a deep frying pan/kadai and shallow fry the fish pieces. Remove and keep aside. In the remaining oil (there should be ¼ cup oil in the kadai, otherwise add some more oil) add the green paste, mix briefly. Add 1/2 tsp turmeric powder and salt, mix well, add 1 cup water. Mix and give this a quick boil on high heat. Once boiled, reduce the heat, add fish pieces. Cover and cook on low flame until the raw smell of masala goes (10-12 minutes approximately). Add kasundi, mix well, remove from heat. Your ‘Dhone Kasundi Mach’ is ready. Coriander leaves I used for this recipe, had tender coriander seeds in them and those seeds added a beautiful flavour to the dish. 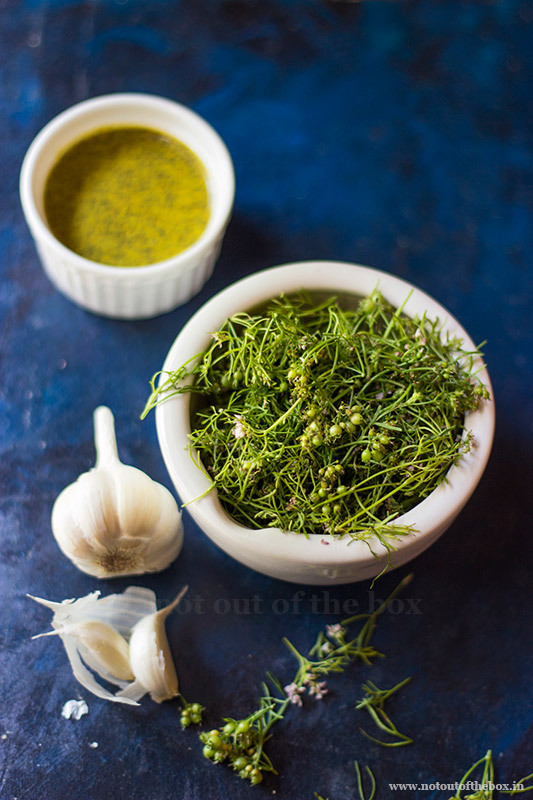 It’s not easy to find tender coriander seeds with the leaves, so, if you’re using regular coriander leaves add 1 tsp of coriander powder to the curry while adding turmeric powder and salt. This fish curry can be made with any variety of fish. Here I used Rohu/Rui fish. The gravy of this dish should be little thicker in consistency. So add water carefully. Use aam kasundi, if you want that punch of raw mangoes in the fish curry, it tastes wonderful actually. If you don’t have aam kasundi/kasundi, try making this at home, and substitute kasundi with it. Superb 👌👌recipes love it ..god bless u ..aap aise hi recipes likhte raho ..